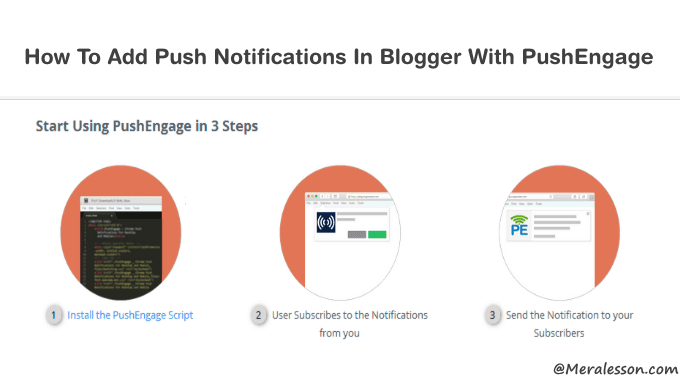 Few days back we have shown you how to add Push Notification in blogger with PushCrew. PushCrew only allow 500 subscribers for free users. And in this tutorial we will show you how to add Push Notifications in bloggers with PushEngage which allow 2500 subscribers for a free account. 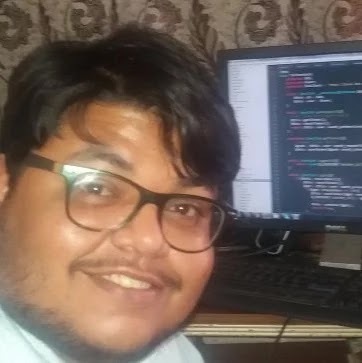 We will do the same thing that we did we with PushCrew. Push notification is a new and best way to get your readers back. you may see websites that has the push notifications and some of them are popular. It is very easy to add and it will only take a few minutes to integrate the Push Notification with your blogger. Push notifications, send messages to your readers about your latest updates. like the notification in your Smartphone when you are using an app you may seen push messages. Push notifications allow you to send your alert to your users from your website. Many websites using this feature including popular websites. And new marketing technique to get back your visitors once they left your website. PushEngage is a new Push Notification website. Which can help you to send notifications to your users. Using Push Notification on browsers. It works on all devices. Push Notification promotes your content. Whenever you publish a new post or updates your website. It will send notifications to all your users who subscribed your Push Notifications. The first thing you need to do is create the free account on "PushEngage " website. which allows you to send Push Notifications for 2500 subscribers. So create the account. Once you have done. go to "PushEngage" dashboard and then on click "Installation Settings" tab to configure the Push Notification. Then upload your website logo and add titles and also the URL of your Website. Now you need to customize the Subscription Dialog Box which will appear on your website. So click on "Subscription Dialog Box Settings" tab and add titles or message. You can change the Dialogbox design. 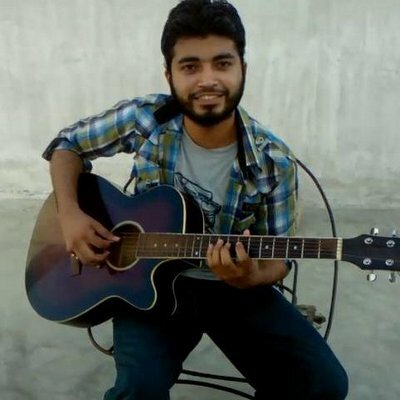 Now you need to copy the PushEngage script to integrate with blogger. So click on "Installation Settings" tag and scroll down and copy the script codes. In the last step we need to add the PushEngage script code in the blogger template. So go to your blogger >> Template >> HTML >> HTML and paste the Push Notification code just below your Head tag. And save the template. Now you able the see the notification popup box in your blogger blog. Have a look below on working screenshot. So this is how you can easily add the Push Notification into your blogger blog. We hope this tutorial help you to add the Push Notification in Blogger. If you liked and learn from this tutorial then make sure to like and follow us on Twitter, Facebook. Thanks bro. This will work for me.